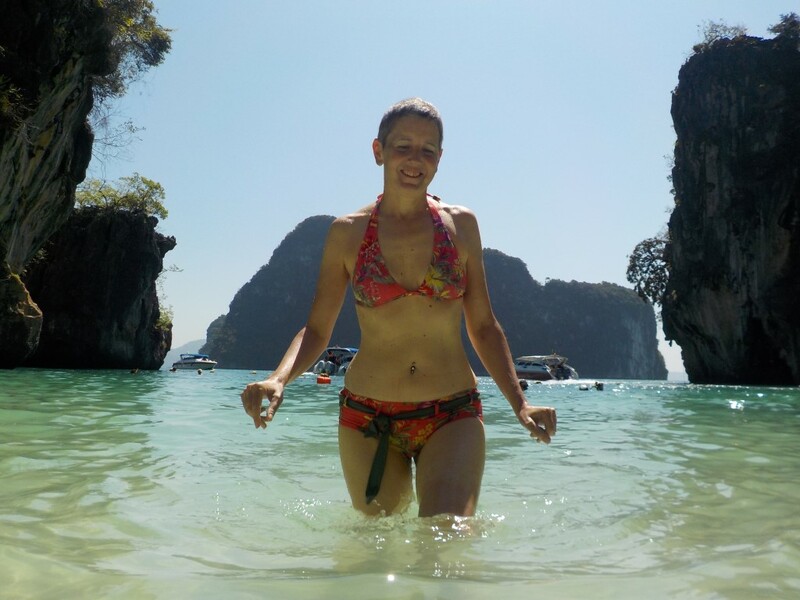 Asia 2016: Ao Nang and Khao Sok – Do your dream! Getting a stupid 06:25 flight is never a good idea, and getting to Chiang Mai airport at 5:10 was cutting it fine especially as there is a security scan before you get into the airport, so by the time you get to the check in desk you are close to your closing time. Then, badly formed queues and 3x Air Asia flights within 15 mins and it’s a close call. 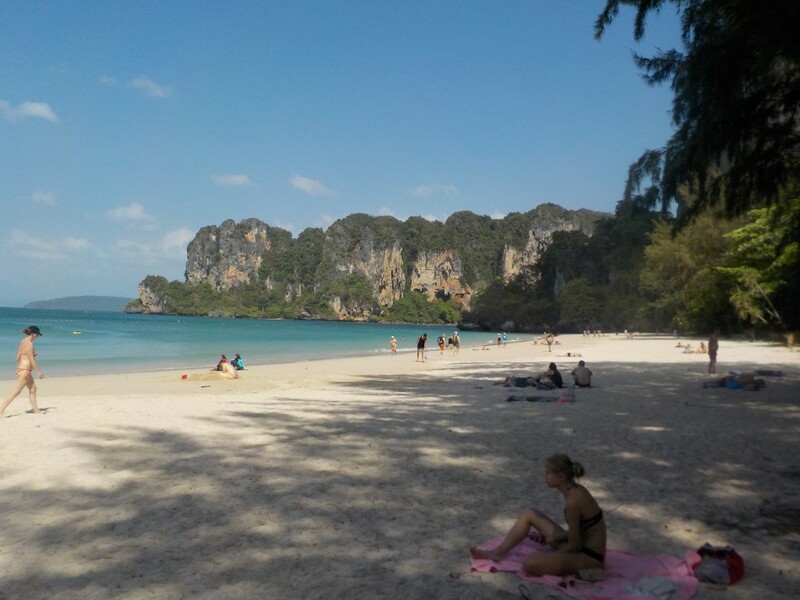 We got through, pretty much on the plane straight away and a simple easy flight to Krabi. Krabi airport, and Krabi/ao Nang as a whole, are organized and geared for tourists. Unlike most airports in Thailand there are no real touts and the ticket counter inside is the correct place to get a bus ticket, then straight on to bus and pretty much direct to your guesthouse. Sadly, we stayed in Goodwill guesthouse which got lost in translation and the driver tried to drop us at Goodwind… Fortunately we were tracking bus via GPS and knew where we wanted to go, but the driver ranted and raved and really wasn’t happy. Others on the bus kept their head down. As we approached Goodwill about 5km later the driver clearly twigged and started smiling and joking with us. Phew – but accidents happen and GPS well worth it. Ao Nang isn’t great, very touristy and expensive and restaurant/suit/shop touts. Right PITA and actually not native Thais – appeared more other cultures/religions being a rude pain. Not seen this anywhere else on this trip. This also means restaurants are very expensive and pretty naff as our first night showed. We tried to get into the #1 on Trip Advisor – but it was full and bookings only! Never seen that in Asia before. #2 (Jungle House) was actually stonkingly good (need to book as well) and better than #1. These two places are tucked outside of the main area, so a constant stream of bikes and tuktuks arriving with most being turned away. Both really good and normal Thai prices. 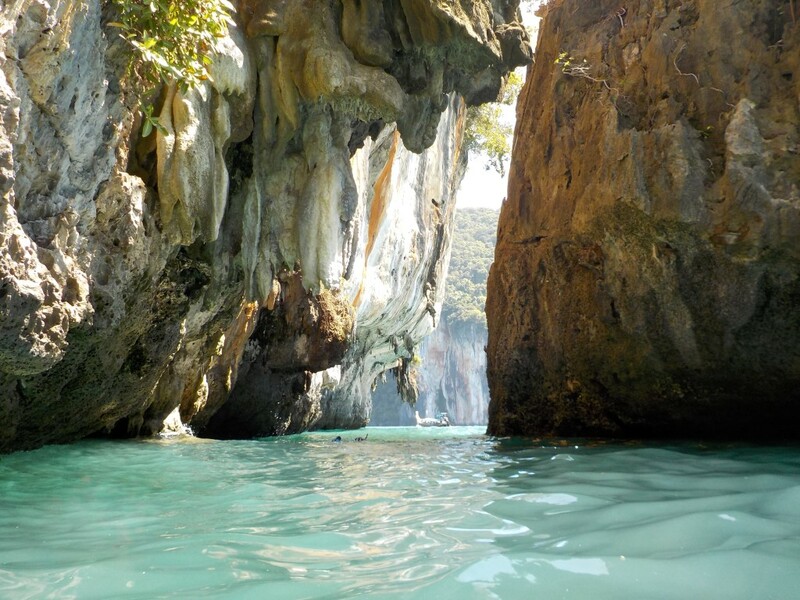 The reason for Ao Nang is the beaches and access to the islands, also diving and climbing. 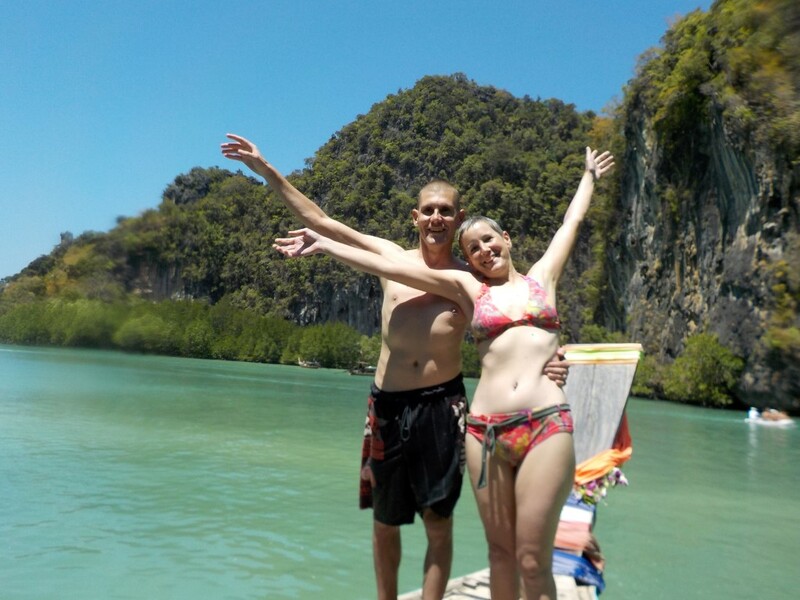 We took a tour of Hong Islands for some swimming and snorkeling, and yep, superb and well worth it. Spoilt only by other people! 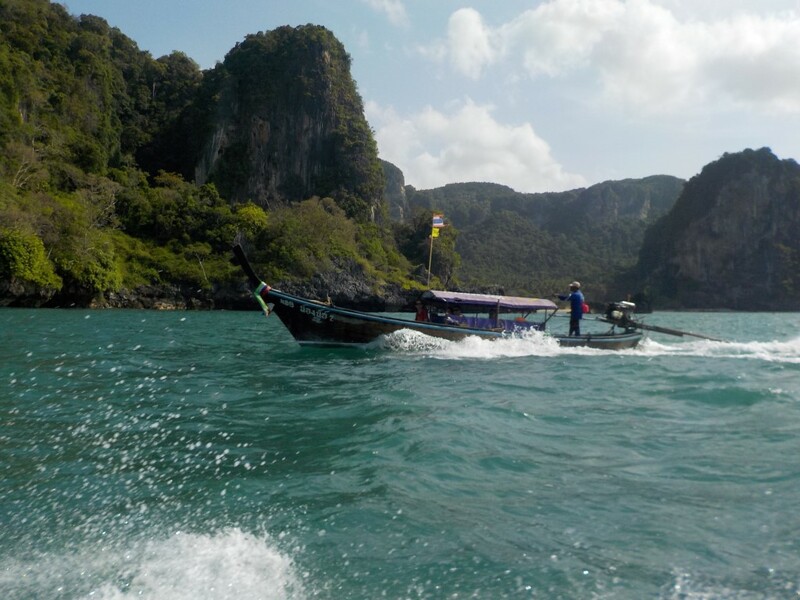 Hong is around an hour longtail boat ride away but always good fun. We also spent some time Kayaking around Bor Thor which is a mix of sea caves and mangrove forests, all really very nice and worth seeing, though fair to say we’ve seen lots of caves and mangrove forests so there wow factor was missing a bit. 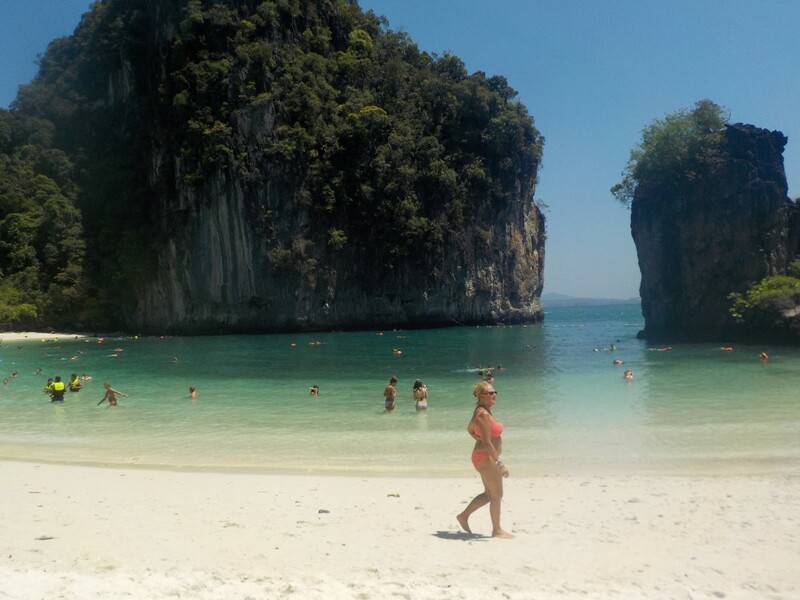 On another day we took a long tail boat to Railay beach, a lovely beach with nice sand, sea and views, but later in the day the shade vanished and hoards more turned up so we took are cue to leave. From Ao Nang we wanted to go to Khao Sok and the journey can be a bit complex. As it was there was a minvan which made it trivial albeit with a stop in a hut to swap vans. Khao Sok is a national park where we’ve been before and stayed on a lake house which was quiet and beautiful and really was a great place. This time though, what a horror!!! The 10 tranquil huts and a single boat of 10-12 people has been changed – the old huts have not been maintained and they’ve welded >20 newer non matching ones – and now at least 5 boats of various groups joined making it more like Butlins than a tranquil lake house. 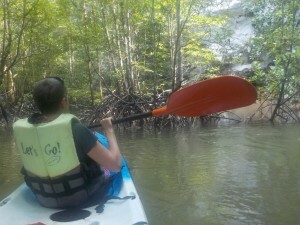 We aimed to chill, read, swim and kayak, but one kindle broke on the boat over and a heavily leaking sewage pipe put us off going in the water. (This was fixed as soon as I mentioned it, but how long 60+ peoples toilet emptied in the swimming area is anyones guess). Top tip – never go back!!!!! 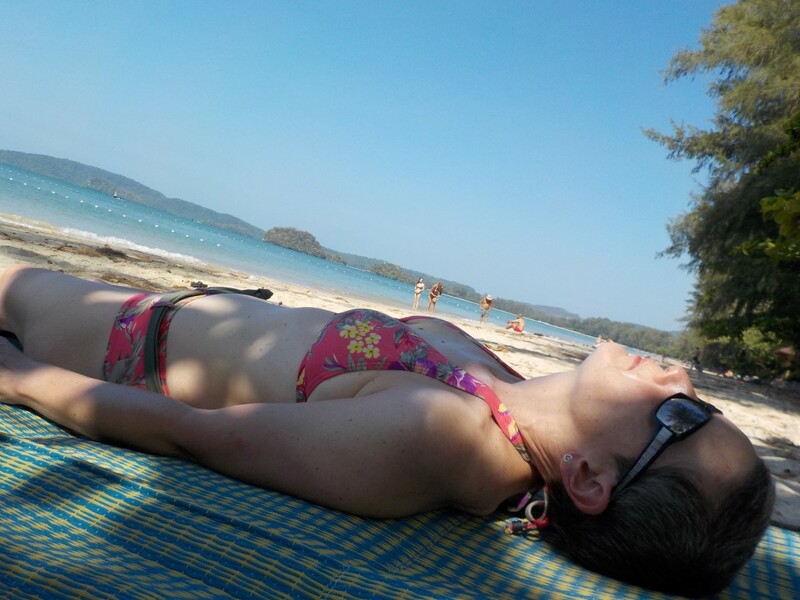 So with a week to go we head towards Khao lak for a 3-day live-aboard snorkeling trip – our last treat of the trip.